This year the Cornish veterans fencers invite their Celtic brothers and sisters to Cornwall for the biannual Celtic Challenge. This will be a light-hearted fun event with a fairly obvious theme – if we said “shiver me timbers!” you’ll get the idea. This is a six weapon competition for both men and women, open to fencers over forty years old who qualify to fence under the Celtic Challenge rules. The event will take place at Truro School, on Saturday 27th and Sunday 28th July 2019. The competition will be held in the Sir Ben Ainslie Sports Centre at Truro School, where there is free parking and a cafe. There will be a gala dinner on the Saturday evening and the Cornish Celtic team invite you to a Cornish Pirate Feast in the dining hall at Truro School. 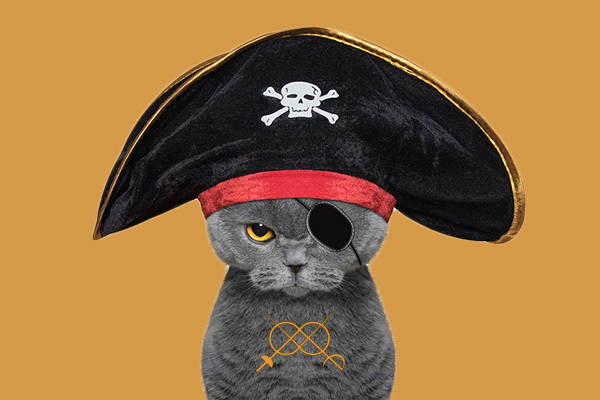 Dress code is Pirate….obviously! So whether you want to come as Captain Hook or just pop on hat or a stripy T-Shirt, come along and enjoy a great evening. For full details, entry form & travel recommendations visit the Celtic Challenge 2019 website.